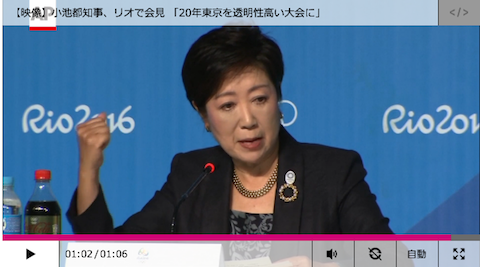 In 2020 Tokyo will hold Olympic and Paralympic Games for the second times. Tokyo and Japan embraced concept of Bushido, a sprit of fair-play, which are iconic our traditional values integrated with cutting edge science, and technology, and that is how we had progress. I’d like to make Tokyo Olympics to be faster, higher, stronger, clearer. In another word, transparent. I hope the flag, it’s not too heavy, although I trained my muscle to receive it properly.